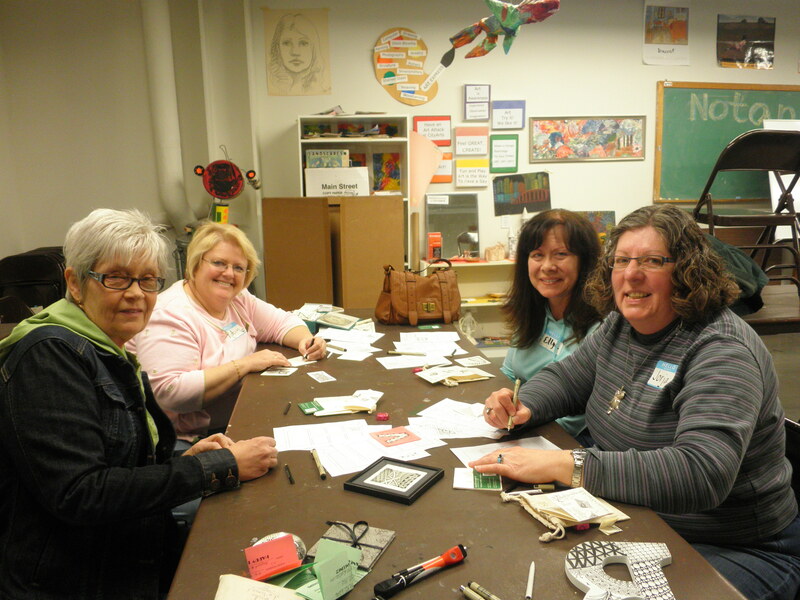 A wonderfully intimate group arrived at City Arts to learn Zentangle on Saturday. 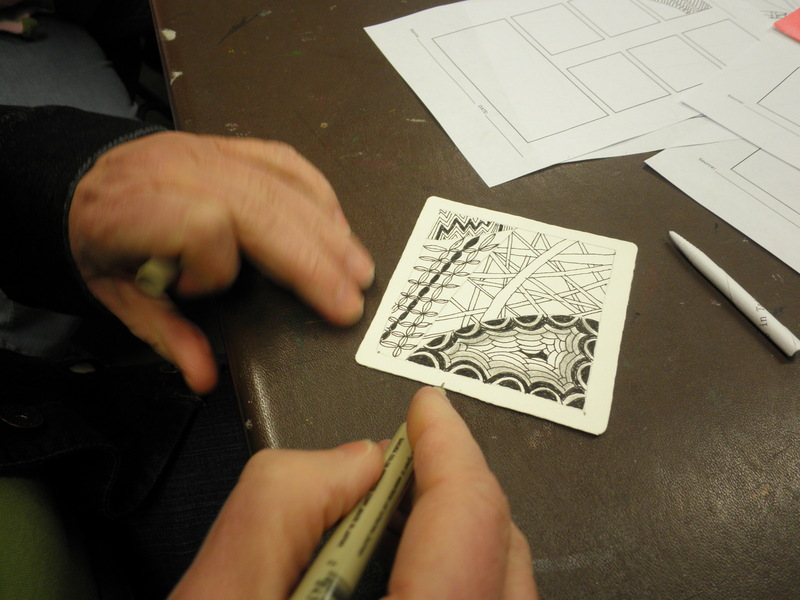 Several friends and another student arrived and we were able to just sit around the table and talk/do Zentangle. One of the students is such a Zealous Zentangler! 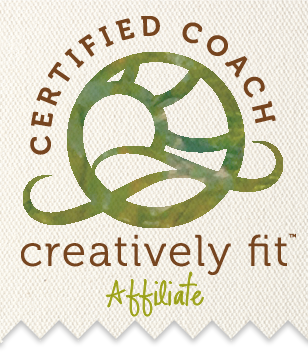 She had pages and pages full of Zentangles she had created into the wee hours of the morning. When do you ever have time to sleep, Robin?? 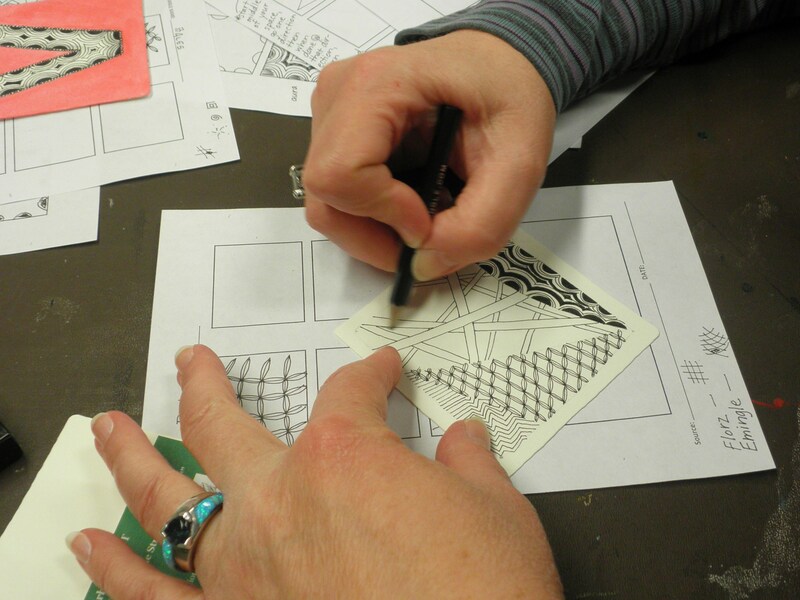 Her work was absolutely Zentabulous (there’s my favorite word again!) and we heard some great stories about her daughter tangling the walls of her bedroom! 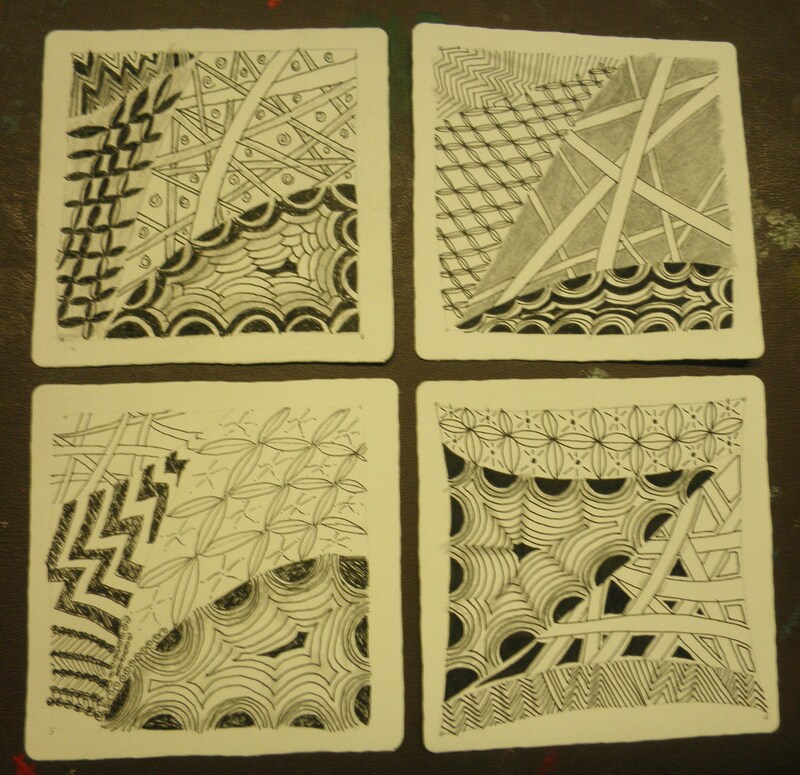 Each one created a wonderful tile as you can see from the pictures shown.